Hi everyone and welcome. 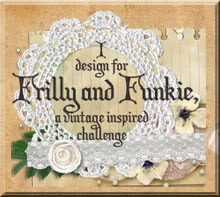 Today sees the launch of a new challenge theme for this month over at A Vintage Journey with our host Julia. Called 'Through The Looking Glass', her challenge to you is to make a project involving glass (acetate) or mirrors (metal sheet), perhaps a window or a clock face, a hand held mirror or glass bottle. Tim has lots of Idea-Ology products and dies that would be just the thing for this challenge! To me the essence of Tim Holtz' style is to take something new and give it a feeling of age, replicating in part the vintage pieces he's well known for collecting and exhibiting on his show stands (and even at home!) When Julia set the challenge theme I knew I wanted to some kind of reflective surface rather than glass but didn't want to go for the standard die cut option. Whilst browsing through Pinterest (anyone else lose hours doing that?!!!) I came across a set of boards from Savvy City Farmer which included antique furniture and mirrors. The cogs started whirring and, in one of those 'what if' moments, I came up with an idea for ageing a Tim Holtz Idea-Ology Mirrored Sheet. The majority of the ageing process took place on the reverse side of the mirrored sheet. Having soaked it in water for a while I rubbed away some of the sticky backing sheet with my fingers, much like you do when revealing the reverse side of a double-sided paper/card (though it takes quite a bit longer with the mirrored sheet). I then applied Walnut Stain and Black Soot Distress Paint to the edges and stencilled some onto the front using the Splatters Layering Stencil. Finally I stamped the script pattern from the Papillon stamp set onto a piece of white card and stuck it to the back of the mirrored sheet. The first of the embellishments continued the mirrored theme; foil covered card altered with Alcohol Inks and die cut with one of the Mixed Media Thinlits dies. To make the embossed feather stand out more I offset another one (cut from black card) underneath. The rest of the elements, including the butterfly from one of Tim Holtz' Ephemera packs, were splattered with some Tarnished Brass Distress Spray Stain and the Alpha Parts numbers were painted with the matching shade of Distress Paint. 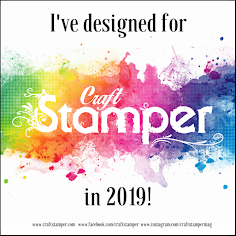 Now I highly recommend a visit to see the other DT members participating in this month's challenge at A Vintage Journey as they have created a stunning line up of projects to get your creative juices flowing. Then we'd love to see your Tim Holtz influenced entries using glass or mirrors so you can be in with a chance to win a £20 shopping voucher for Country View Crafts. To see all the details head on over to the challenge blog. This is simply stunning. I love the use of the mirrored surface. Making new look old or vintage is no easy task but you have accomplished it seemingly with ease. I love what you did to the mirrored sheet Jenny - (I looked at Pinterest you linked and got lost there for a few minutes - but I came back!) So many beautiful pieces layered on this - love the feather, the squiggle circles in red the pen nib - so creative and thanks so much for joining in my challenge! Jenny, that is fabulous! Looks just like an old piece of mercury glass mirror, what an amazing effect. Thanks so much for sharing your inspirational project and for giving us insights into your process. Love, love, love it. It amazes me how you can gather all those "bits & pieces" and manage to make a little "work of art" out of them. Fabulous card Jenny, a brilliant idea for the challenge, and yep, I do know that Pinterest dilemma, though sadly I usually don't have the hours to spare... Love how you layered all of this up and great grungy colours too! Love this one Jenny. Great attention to detail as ever and I love all the textures and elements you've used. Happy Easter! Love this Jenny and your creative ideas. A gorgeous card with great techniques and colours. This is wonderful. I love how you made the foil sheet look just like the silvering has started to come off the back of a real mirror. I also love the eclectic mix of elements that make this one very special card. Jenny, this is stunning! The mirrored background is perfect with all those pretty layers! Love your card! Hugs! You had me at the mirror sheet! LOVE that...so clever, so cool layered on, and just gorgeous! This is just lush! It is so rich in texture and vintage goodness. The technique you used to age the mirror is one I would never have thought of. Thanks for sharing this idea. 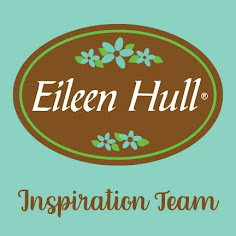 And yes...I have lost many hours on Pinterest...if I could only spend as many hours being productive at my desk...but oh the inspiration...it is endless! Wow Jenny what an outstanding card or should I say Artwork. Love how your creative mind works, this has so much beauty, fantastic. Wow - love your aged mirror technique, and the inked honeycomb detailing is fabulous! What a beautiful arrangement of embellishments too - a really special card for a special birthday.